On Sunday, I posted a picture of an abandoned lemonade stand on Facebook with the comment. “I know some local entrepreneurs who will soon realize one of the first rules of making money. Don’t leave your cash box unattended.” Last night, I picked the two entrepreneurs up from gymnastics. I was going to wait and see how long it took for them to realize their lemonade cash was missing. Then, the devastation of Hurricane Harvey happened. Knowing these girls’ sweet spirits, I chose a different route. To set the scene there were two sweaty girls in leotards sitting in the back seat surrounded by backpacks, binders and lunch boxes. Our conversation went like this. Me: Where’s the money you made from the lemonade stand? ML: Did you spend it? Me: No. I stole it. You shouldn’t leave your cash box unattended. Me: I had an idea. Would you like to donate it to the Red Cross to help the victims from Hurricane Harvey? Their $13 won’t buy anything from the auction KidLit Cares is holding. But it might if I add to it. 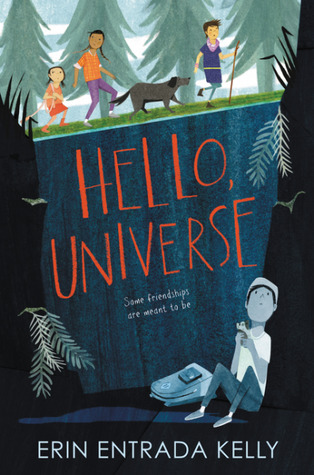 I’m thinking about approaching parents from fifth grade to see if any of them want to join in a bid for a Skype visit with an author. I have my eye on a few and feel certain their ELA teacher wouldn’t object. Especially one who is having her students read so many wonderful books this year. People who write children’s books don’t do it for the money. Writing is hard work and takes lots of time. 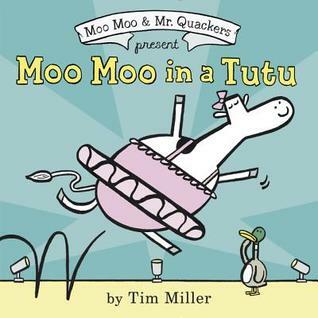 I already knew authors of books for children were amazing. But their willingness to share their time and promote the love of reading while benefiting Hurricane Harvey victims speaks volumes. Kate Messner says it best on the KidLit Cares Auction site. 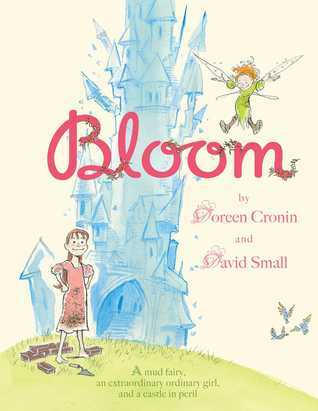 “People who write children’s books and work in this industry have a wide range of interests and talents. As authors, illustrators, agents, and editors, we do different jobs, and we love and create different kinds of books. But one thing we all tend to agree on is using your powers for good in the world. 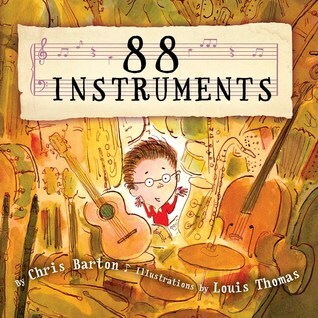 199 authors, illustrators, editors and agents have donated their time or books. Take a look and consider bidding if you can. If you can’t, consider giving what you can to the Red Cross. Small amounts from many people add up quickly. Ml started 5th grade yesterday. Word on the street was one of ML’s teacher’s has high expectations; and middle school will seem easy after having her. All good words for a mom to hear. BUT I didn’t know how much I was going to love this teacher until yesterday. Here’s a portion of the email she sent yesterday. 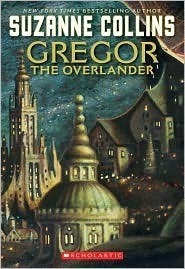 ML’s first assigned book is Gregor the Overlander. As pictured above, the other books they will read this quarter are Hatchet, Wait Till Helen Comes, and Escape From Mr. Lemoncello’s Library. Those are the ones she remembers. I’m eager to see if there are others. And wondering the total amount of books ML will read this year. Based on a secret algorithm I created using my knowledge of number of days of school and average number of pages in a chapter book for fifth graders, my guess is 15 books. I’m giving myself homework too. 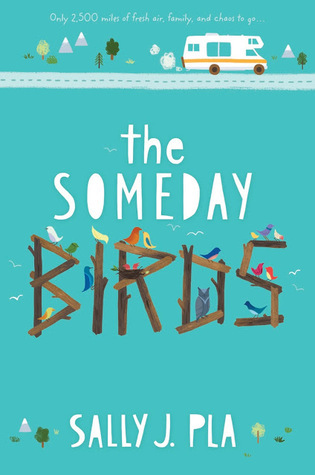 Thirty pages a day of contenders for the 2018 Newbery Award. The four books I’m starting with are below. I feel certain I won’t read all the books completely; but I’ll at least give them thirty pages. And if I end up reading the entire book, you can bet it will make my list right before the awards are given on what I think should win. 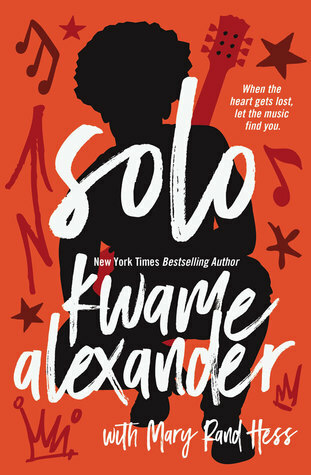 I hope I remember the lesson I learned from this novel written in verse, Solo by Kwame Alexander with Mary Rand Hess, in my personal and professional life. Libraries are the great equalizer; but sometimes when planning programs and services, we forget to ask our community what do you need? Below is my favorite poem in this book of striking poems that create a beautiful narrative of a young man coming into his own. That’s not necessary. I just want to get on with this. I’m tired of waiting. Very. But I’m excited too. This is finally happening. I’m happy for you. I am glad you came here. He seems serious, and I mean, you do need it. How do I say this without sounding ungrateful? One church started the school, another promised to fix it. show us how to repair it. That’s why you to have to walk so far for water? I’ve been known to say, “I could do a story time at a moment’s notice in a grocery store with no books.” It’s not a joke. I just haven’t tried it yet. The thought of it doesn’t scare me. Of course, I prefer to read a few books during story times. But in a pinch I could pull one off without books. 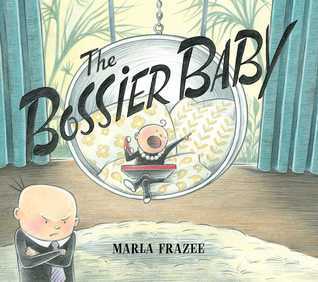 Recently, I read three books which are begging to be read at story time. As the librarian in charge of programs for elementary age children, I rarely do story times these days. Maybe I should pack these books in my purse and do an impromptu story time at the grocery store. Still a Gorillla! 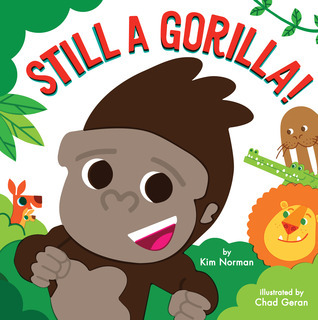 by Kim Norman and illustrated by Chad Geran – If you go to Publix and hear children yelling “Still a Gorilla!” over and over, you can bet it’s me. 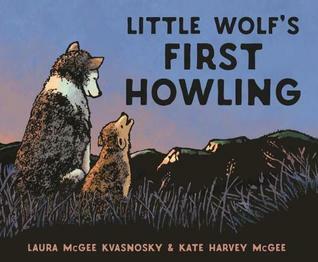 Little Wolf’s First Howling by Laura McGee Kvasnosky and Kate Harvey McGee – If you go to Harris Teeter and it sounds like a pack of wolves, rest assured I’m instigating this crowd howling up a storm. If I get a chance to do a story time this fall, these are the books I plan to read. If I don’t, the likelihood you may see me on aisle three come December is high. 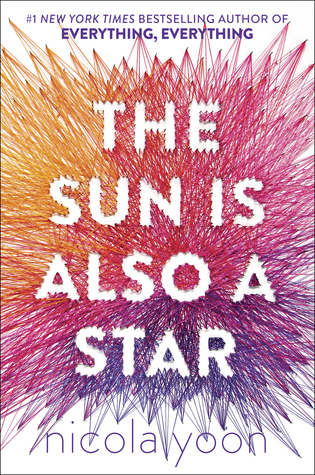 A few weeks ago, I started reading The Sun is Also a Star by Nicola Yoon. I was captivated by it; but was busy preparing for an interview. Then, what I will refer to as The Solar Eclipse of 17 frenzy started. It will live in infamy with librarians throughout the country. After answering calls and in person questions about eclipse glasses all day, the last thing I wanted to do when I got home was read a book with sun in the title. Actually, the last thing I wanted to do at all was read. Now that the eclipse is over, the world hasn’t ended and my book holding arm wasn’t injured passing out eclipse glasses at our program, I can start reading again. 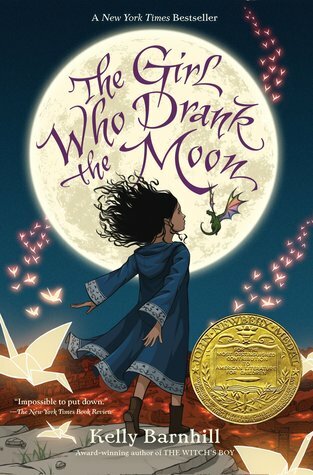 All this sun and moon conversation reminded me I’ve yet to read the 2017 Newbery Award winner, The Girl Who Drank the Moon by Kelly Barnhill. Once I finish The Sun is Also a Star, I’ll start The Girl Who Drank the Moon. For weeks, I’ve been trying to figure out how to make it rain on August, 21, 2017. Six weeks ago, I didn’t even know there was going to be a solar eclipse. One week ago, I started having nightmares about it. I dug myself in a hole without knowing what I was getting into. Around six weeks ago, it was mentioned my library system might order solar eclipse glasses for a program. If they did, how many would our location need? Based on previous program attendance, I sent in a number and didn’t think anything more about it. Until a few weeks ago. The PR arrived and I put it up in the library. I did not set up registration for the event because the number of glasses we ordered were plenty for the number of families that usually attend our special programs. Then, an evil person provided the media with fake news. (Sorry my anxiety took over the keyboard for a sentence.) I don’t think it was a conspiracy just poorly written headlines. Here’s an example from one news source. Across the nation, library phones started ringing off the hook. From the beginning, we told people we weren’t doing registration. We’ve never needed to do registration in the past at my location. It would be first come first serve, one pair of glasses per family. Then, the phone kept ringing. We realized we needed to order more. We did. I even ordered a pack of ten for my daughter planning to donate the rest to the library. With the extra order and mine, we would have more than enough. Then, I received the Amazon email informing me they were recalling the glasses I ordered. Seeing that we ordered the extra glasses for the library from Amazon, this did not bode well. That afternoon, my manager received the illustrious Amazon email. Librarians across the nation have been having online group therapy… sharing their experiences and ideas. Here are some of my favorites. My Favorite Answer: Winter Solstice Glowstick Party? so … what happens to all these eclipse glasses on tuesday? My Favorite Answer: I heard on the radio that libraries are glad to accept them as donations (along with the M – Mil volume of a 1986 encyclopedia set)! And most importantly – What’s the best way to hand out glasses? I’ve let every person working Monday know they are welcome to send all unhappy people to me. I’ve lived long enough to know that admitting your mistakes is usually the best way to handle difficult situations. I just need to remind myself throughout the event that this too will pass. If that doesn’t work, there’s always bourbon. I’ll be too busy with crowd control to see the eclipse. Luckily, someone has a bottle of bourbon on hand for me to have a post eclipse drink or four. As for me, I learned a lesson. Our Slime Fest in September is a Registration Required event. June and July at the library is comparable to retail’s November and December. 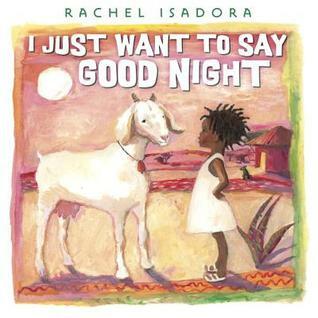 Things are calming down so I’m catching up on my picture book reading. 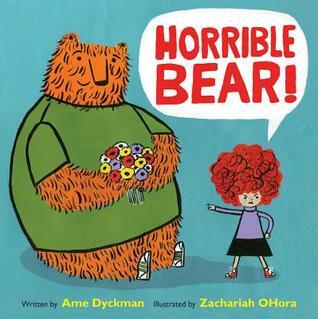 Last Friday, I read around ten new picture books I’ve missed when they arrived at the library this year. My favorites are below. ML is starting fifth grade. I’m no longer invited to be a guest reader; and if I was she wouldn’t let me do it. I need to find a kindergartner or first grader to adopt so I can read these books to a group that’s old enough to enjoy the humor; but not too old to turn their nose up at picture books. Recently I read an email from a librarian to a teen librarian group. 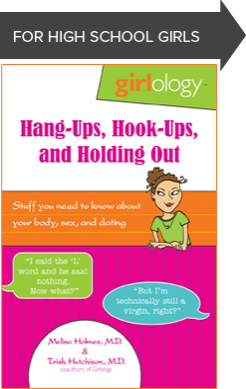 It reminded me I had a draft in the works about the book, Girlology: There’s Something New About You by Dr. Melisa Holmes and Dr. Trish Hutchison. Anyone have recommendations for good, recent (published within the last year or so) books for tweens about puberty? 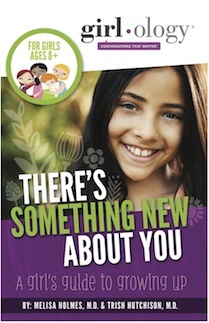 At ML’s third grade physical, I asked her pediatrician about resources to share with ML about puberty. I’ve seen what’s out there and it seemed to say too much or too little. I’m pleased with the book Dr. Shaw recommended. After reading it, I found myself wishing it had been around when I was near puberty. It’s much better than that film shown after school in the cafeteria for moms and daughters to watch if they wanted around 4th grade. I wish I could remember the the title. I’d love to see it again. I remember being horrified by it. Driving home in the red station wagon with the fake wood paneling my mom asked, “Do you have any questions?” I shook my head very fast. I’m sure the look on my face was a grimace. Anybody else have the Mother/Daughter film in the cafeteria after school experience? To respect ML’s privacy, I won’t share details about her reaction. I will say it’s a great book for moms to read themselves. It reminded me of my anxiety at this age about body changes, emotions and friendships. I asked her dad to read it and encourage you to do the same. My pediatrician has two daughters a little older than ML. She explained she gave it to each of her daughters the summer before fourth grade. The older daughter went straight to her room and read it straight through that afternoon. When her mom asked if she had any questions she said, “No.” The younger daughter took it and put it in her room. Then went back to whatever she was doing. A few months later, she came to her mom with questions. She said the reactions didn’t surprise her. Each one fit their personality. 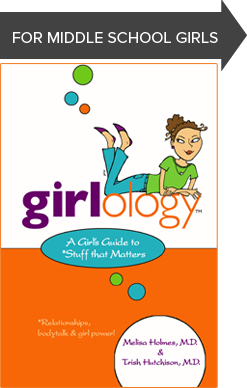 Next summer I’ll buy a copy of A Girls Guide to Stuff That Matters. And the summer before high school, I’ll buy Hang-Ups, Hook-Ups and Holding Out. Although, it may have a different title by then. When you peruse the website, you will see these doctors stay up to date on what’s happening with middle and high schoolers. For all my friends with sons, don’t fret. There is also a book called Guyology. If it’s anything like Girlology, it’s excellent. 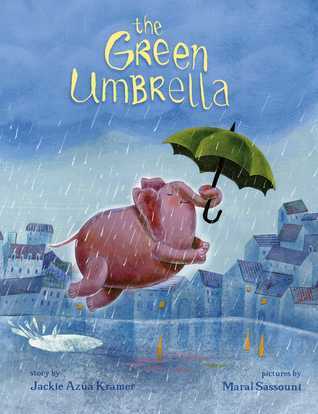 The Green Umbrella by Jackie Azua Kramer and illustrated by Maral Sassouni is perfect for this rainy day. I’ll understand if you don’t run straight to the library to get it today. However, you should request it immediately; so its waiting on a shelf to be picked up the next sunny day. 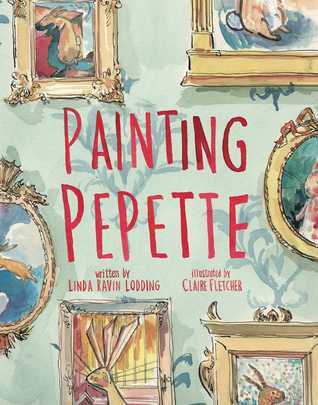 This book celebrates creativity; and the illustrations are delightful. Have you filled out your March Madness bracket yet? I’m not asking about the men’s bracket. That’s a no brainer. It’s going to be a UNC Tarheels – Duke Blue Devils matchup in Phoenix. It’s the WOMEN’S BRACKET you need to fill out and follow. Our sons and daughters need to understand women play basketball too. Their games are awesome, exciting and affordable. Tickets for women’s basketball are manageable, even on a librarian’s salary. Men’s basketball tickets, not so much. I know because I organized a mother/daughter excursion to watch the UNC – NC State Women’s basketball game. There were twenty-three of us. Half UNC fans. Half NC State fans. All the mom’s agreed we should make it a yearly tradition. 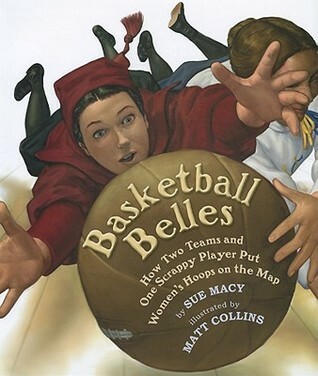 Basketball Belles: How Two Teams and One Scrappy Player Put Women’s Hoops on the Map by Sue Macy and illustrated by Matt Collins chronicles the first women’s intercollegiate basketball game in 1896. Stanford and Berkeley played at a neutral site. In celebration of this historic event, I’ve picked Stanford and Berkeley to be the last teams standing in the 2017 NCAA Women’s Basketball Championship Game. Stanford will win the game as they did in 1896. Rules and uniforms have changed these past 121 years. The thrill of watching scrappy women fight it out is the same. As most things in history, opportunities for men developed sooner than women. The Olympics hosted the first men’s game in 1936. Forty years later, women were given the opportunity to play at the Olympics. In 1946, the first NBA game was played. It wasn’t until 1997 the WNBA began. That’s 51 years. I’m thankful ML is being raised in a time where women have more choices for athletic opportunities. Playing basketball is not her thing; and that’s ok. But it’s some of her friends’ favorite activity. I’m glad they can have Olympic dreams like ML does for gymnastics. 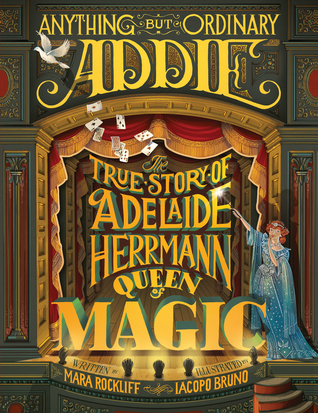 Anything But Ordinary: The True Story of Adelaide Herrmann Queen of Magic by Mara Rockliff and illustrated by Iacopo Bruno is ENCHANTING! 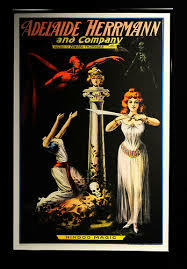 After reading it, I realized I couldn’t name a contemporary female magician. I did a little web search. It appears women are still a minority in the magic field. Do not miss this book. 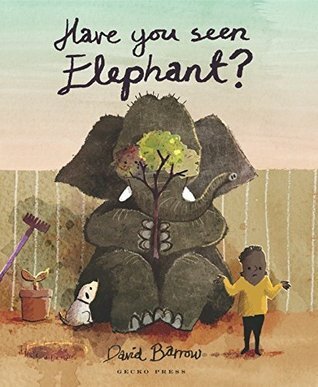 The story is empowering and the illustrations are captivating. Next, read the interesting articles linked below. 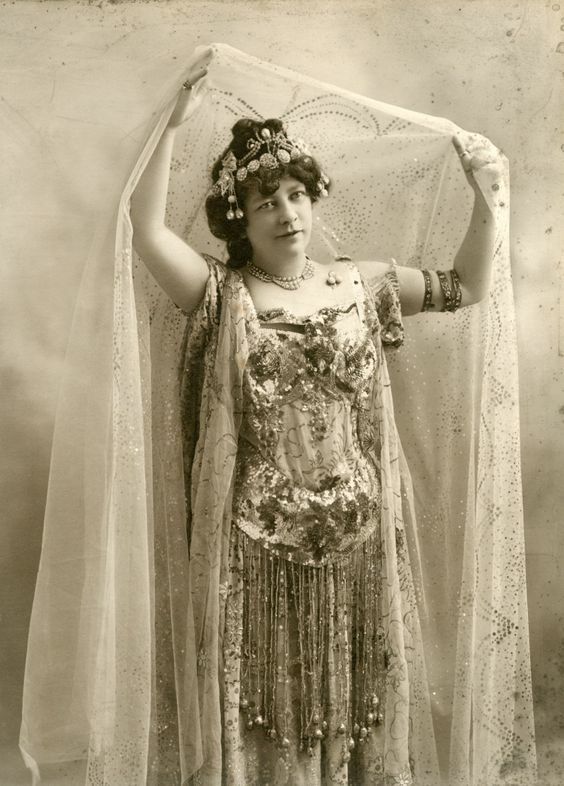 Why Are There So Few Female Magicians? 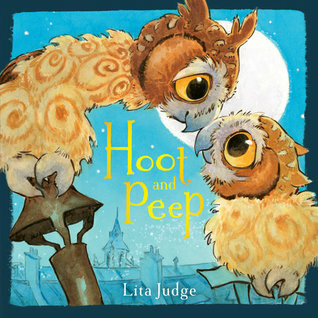 I’m back to writing about books for children. I’ll devote the rest of this month to books about Amazing Women and Girls. 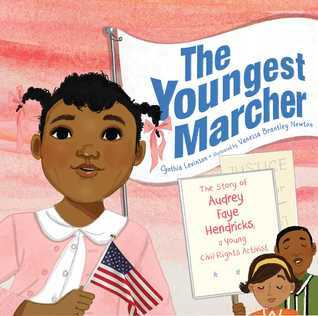 I’m embarrassed to say I’d never heard of the 1963 Birmingham Children’s March until I read The Youngest Marcher by Cynthia Levinson and illustrated by Vanessa Brantley Newton. Or if I did, I don’t remember it. Which is worse than not knowing about it at all. But I know now and plan to share this book with ML tonight. 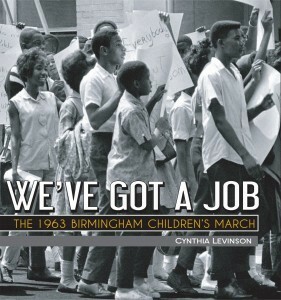 The children of Birmingham in 1963 were strong, amazing children. I can’t imagine agreeing to march, when I was in elementary school, knowing I would probably end up in jail. Audrey was one of over 3000 brave children who marched. 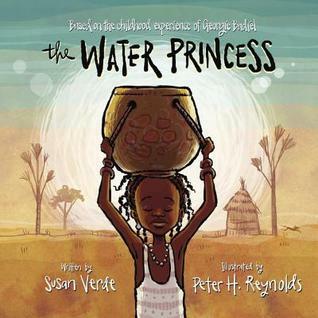 Thank you Cynthia Levinson and Vanessa Brantley Newton for bringing this story to today’s children and ignorant adults like me. The next book I plan to read is by Cynthia Levinson. It provides more details about the march. 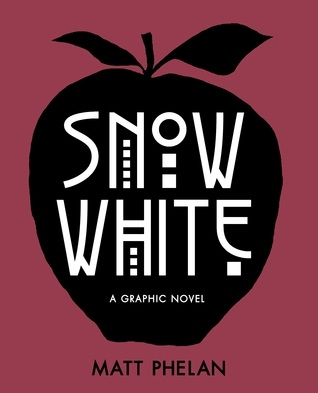 This weekend, I experienced an amazing graphic novel, Snow White, by Matt Phelan. I use the word experience, instead of read, because there were not many words. There didn’t need to be. The setting of this version was 1928 in New York City. To say it’s a modernized version of Snow White is both true and a little weird. Afterall, we’re about 90 years out from the roaring twenties and the onslaught of the great depression. I’m not going to tell you anything more about the book, except the ending. Well, not really the ending because we all know what happens. 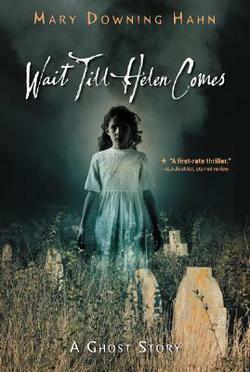 It’s the way Matt Phelan creates a historically accurate and appropriate ending that makes this book a must read. 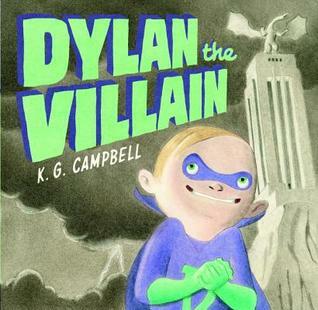 Matt Phelan has written three other graphic novels. I have requested all of them, and feel certain there will be a blog post about them in the near future. 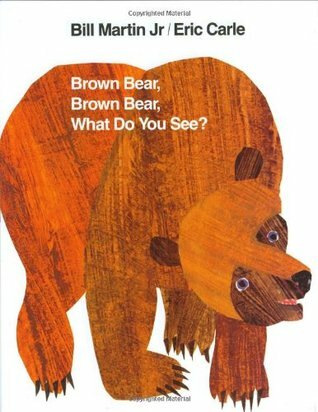 Finding a book about colors that is simple enough for toddlers to grasp each individual color is hard; which is unfortunate. 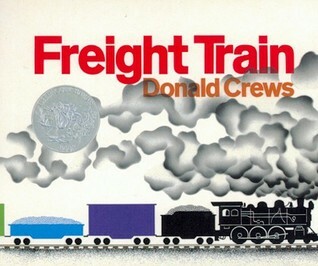 It’s one of the first types of books little ones adore. 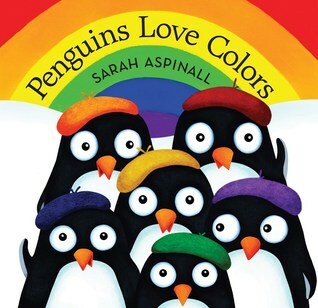 Penguins Love Colors by Sarah Aspinall does exactly that. 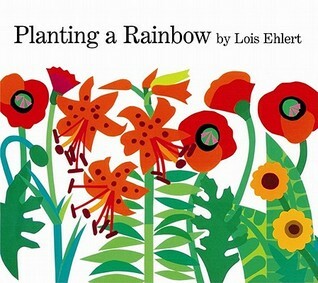 Here are some other titles about colors ML enjoyed as a toddler. All of which were written in the last millennium. Actually, they were all written before I graduated from high school. Currently, I’m planning a program comparing and contrasting the Arctic and Antarctica. I know. . . sounds boring. After a very brief lesson on Geography, the fun will begin. I’ll start with sharing a photo collage I created of animals which live in the Arctic vs Antarctica. From there, we will play Arctic Animal Bingo. We’ll finish off the event making snow animals out of clay. When a program includes clay, it’s always a winner! Children and parents alike join in the fun. I learn a lot when I plan programs for kindergarten – 5th graders. Did you know there are 17 types of penguins? None of which live in the Arctic. As for Antarctica, there are the true Antarctic species, which breed on or near continental Antarctica. . . Adelie, Chinstrap, Emperor and Gentoo penguins. Sub Antarctic species are one’s where the furthest south they go is the sub-Antarctic islands. These include King, Macaroni and Rockhopper penguins. I’m curious where the other ten types of penguins live. The kids will be too. I need to research that before the first week of January. 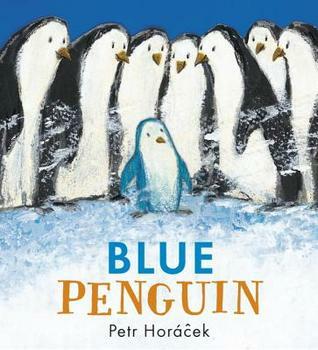 In the meantime, I’ll practice reading Blue Penguin by Petr Horacek. A beautiful book with a timely message. 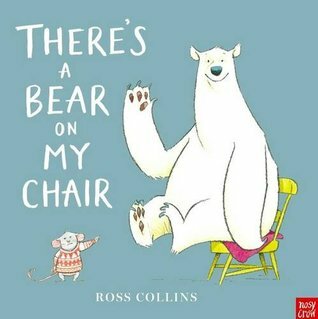 A few years ago, I highlighted 24 of our favorite picture books in the post Christmas Books – One to Twenty Four. I need to add two books to this list. 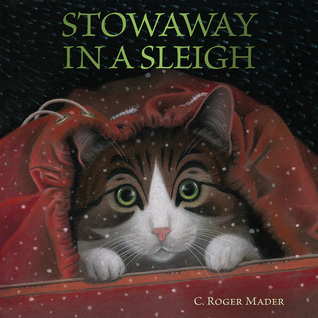 The best Christmas books published in 2016 are The Christmas Boot and Stowaway In A Sleigh. ML’s reached the age where she doesn’t want to cuddle in my bed reading picture books. 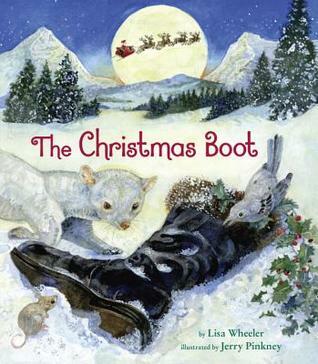 However, she agreed to join me for a reading of The Christmas Boot. Tonight, I’ll try for Stowaway in a Sleigh. Picture boos aren’t just for preschoolers. Here’s a list of some of my favorites this year. I’ve been slack in writing for the blog this year; but I’m a firm believer every child should receive at least one book under the tree. Below of are some of my favorites published this year which preschoolers will enjoy. My dear friend and mother of ML’s best friend recently asked for ideas for potential 2017 Newbery Winners. Begrudgingly, I am making recommendations. They moved a few weeks before school started. ML and I were both heartbroken; but I can never resist giving book recommendations. The fact that ML and SJ will be together next weekend is making this post easier. A week from tomorrow… not some much. It will be the day they have to part again. 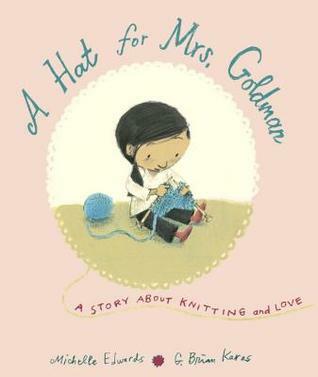 There are plenty of Mock Newbery Lists out there. 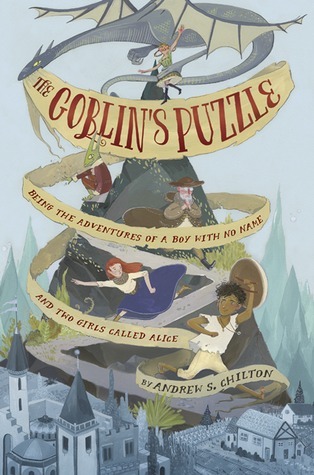 I’ve yet to see the The Goblin’s Puzzle by Andrew Chilton on any list; but it should be. The only books I include on my list are ones I finish. I devoured this one. My friend is a lawyer so the logical thinking this book encourages will make her happy. Her son is into millitary history; so the battles will make him happy. The two Alice’s in the book are feisty, independent girls; just like ML and SJ. 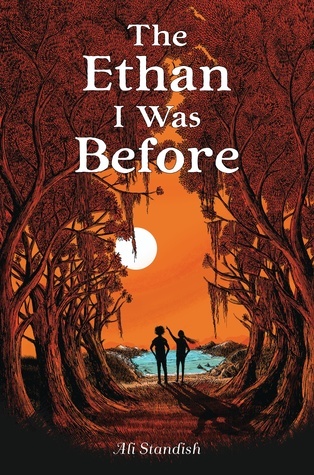 THE BOY is a nameless slave on a mission to uncover his true destiny. THE GOBLIN holds all the answers, but he’s too tricky to be trusted. PLAIN ALICE is a bookish peasant girl carried off by a confused dragon. And PRINCESS ALICE is the lucky girl who wasn’t kidnapped. All four are tangled up in a sinister plot to take over the kingdom, and together they must face kind monsters, a cruel magician, and dozens of deathly boring palace bureaucrats. They’re a ragtag bunch, but with strength, courage, and plenty of deductive reasoning, they just might outwit the villains and crack the goblin’s puzzle. Don’t believe me that it’s worthy of a look? 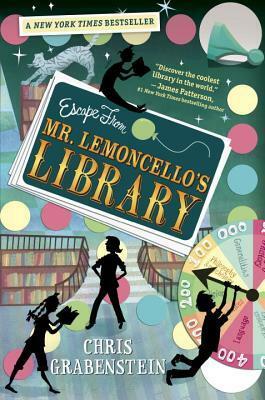 School Library gave it a starred review. School started this week. I decided I don’t do New Year’s Resolutions very well. So I’m doing New School Year’s Resolutions. ML and and I selected three chapter books we would read together this summer. We didn’t read any of them. I don’t think we even read a picture book together. One of my resolutions is getting back to our reading time. Another is cooking something on the weekend for Monday night; so I don’t have my usual after work scramble. Every year ML gets a new responsibility. Last year, it was packing her lunch. This year, it’s folding and putting away her laundry. Reality set in and I returned the books we planned to read this summer weeks ago. I’m waiting for one of them to arrive at my library. However, I wanted us to start school on the right foot. Laundry is folded and put away. Dinner is ready for tomorrow night. This left the reading resolution. I didn’t want to start a chapter book; so I looked through my pile of picture books from the library. 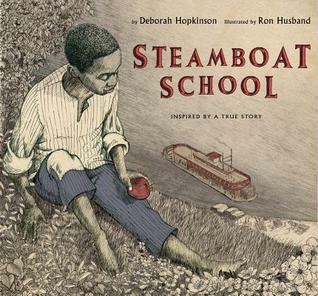 Steamboat School: Inspired by a True Story by Deborah Hopkinson and illustrated by Ron Husband was sitting there waiting to be read. I’m not giving a summary of this book because I want you to discover the beauty of the loophole yourself. Often, when people talk about loopholes it’s because someone is greedy. The loophole highlighted in this book is selflessness at it’s purest. 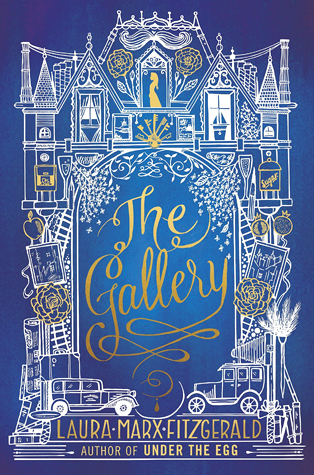 I cannot let another day go by without sharing The Gallery by Laura Marx Fitzgerald. I don’t have time to write about it so I’ve put the publisher’s summary below. I need to spend my limited time googling the paintings featured in the book. “A riveting historical art mystery for fans of Chasing Vermeer and The Westing Game, set in the Roaring Twenties! 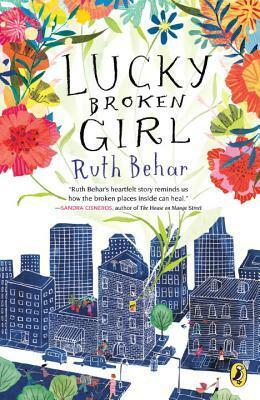 It’s 1929, and twelve-year-old Martha has no choice but to work as a maid in the New York City mansion of the wealthy Sewell family. 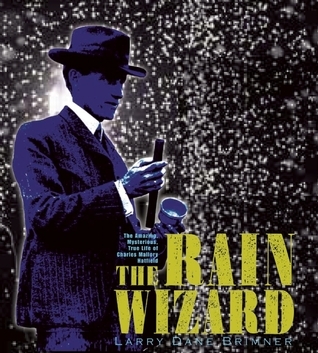 But, despite the Gatsby-like parties and trimmings of success, she suspects something might be deeply wrong in the household—specifically with Rose Sewell, the formerly vivacious lady of the house who now refuses to leave her room. The other servants say Rose is crazy, but scrappy, strong-willed Martha thinks there’s more to the story—and that the paintings in the Sewell’s gallery contain a hidden message detailing the truth. But in a house filled with secrets, nothing is quite what it seems, and no one is who they say. Can Martha follow the clues, decipher the code, and solve the mystery of what’s really going on with Rose Sewell? 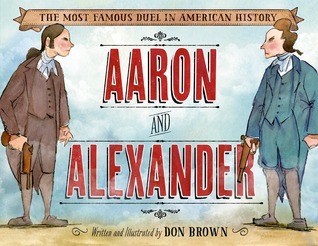 Last October a book titled Aaron and Alexander: The Most Famous Duel in American History written and illustrated by Don Brown arrived in the library just in time for me to take it to Georgia for Thanksgiving. I’ve known about this duel far longer than most. As a child, we would sometimes drive by the jail where Aaron Burr was jailed in Warthen, GA. (pronounced Wur-then) on the way to my grandparents. My grandfather’s name was Warthen. My mother lived in Warthen when she was a child. Add in a history buff of a brother and you can see why I’ve know about the duel for so long. The Friday after Thanksgiving, my brother’s family, ML and I packed up the car and headed toward Tennille, GA. 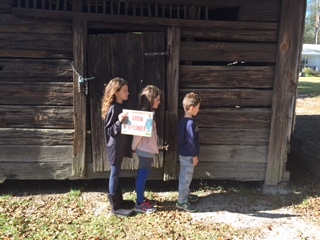 Along the way, I read Aaron and Alexander: The Most Famous Duel in American History to ML, my niece and nephew. We stopped at our favorite roadside barbecue restaurant. It serves the same barbecue and brunswwick stew, I’ve loved for 40 years. The building hasn’t changed either. There’s still sawdust on the floor. And the brunswick stew is the best in the world. Before September 11th, I was known to carry a quart of it on the airplane from Atlanta to Raleigh. After filling up on barbecue, we stopped at the jail in Warthen. I have a mug shot to prove it. We arrived in Georgia last weekend to the cd of Hamilton on full blast in my brother’s car. Seeing that his US History paper in high school was titled “Hamiltonism vs Jeffersoniasm,” I was not surprised. What did surprise me is how much ML loved it; even with my brother stopping the music every five seconds to give us a history lesson. She demanded I order a copy for us; not that I hadn’t already planned to get one as soon as we arrived home. For the past two weekends, we’ve been jamming to Hamilton with three people who most deserve front row tickets to Hamilton. Last weekend, my brother. This weekend, our friend and her son. All were experts on Hamilton before Hamilton was cool. My friend refers to Hamilton as her “historical boyfriend.” There’s nothing like driving your child to camp with three kids in the back singing Hamilton at the top of their lungs. I confess. I’ve been playing it full blast on my way to work this week. It’s left me in a historical frame of mind. Expect to read about more illustrated, nonfiction books about historical times and places in the very new future. Summer at the library is CRAZY. We continue to get great new books, but I’m too tired to write about them when I get home. Here’s a list of my recent favorites with a very small sentence about each one. When life calms down, I’ll link to the books and authors but I wanted to get these titles out to you because summer is the perfect time to read great books. 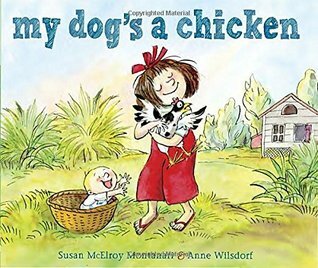 My Dog’s a Chicken by Susan McElroy Montanari and illustrated by Anne Wilsdorf – Lula Mae’s chicken is a mighty good dog. Herding, watching and rescuing. Delightful illustrations. 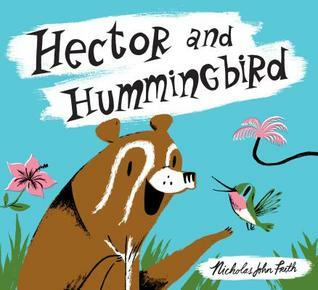 Hector and Hummingbird by Nicholas John Frith – Love the artwork. Love the story line. 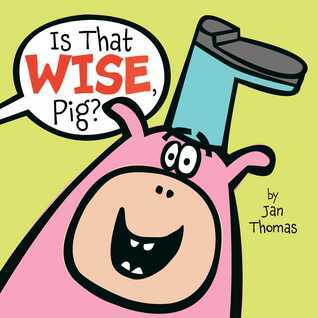 Love the book! 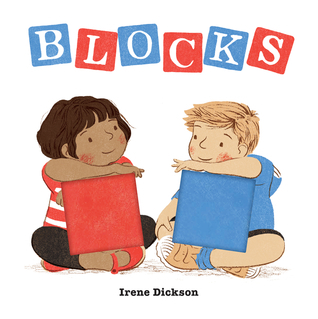 Blocks by Irene Dickson – As a child, I loved playing with blocks. So any picture books about blocks make me happy. 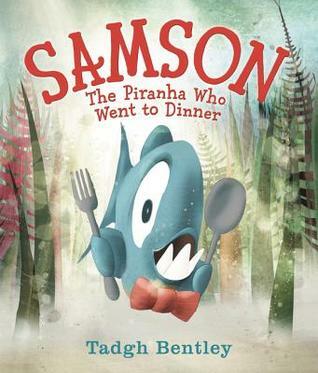 The added bonus of this book is it teaches about sharing in a not too preachy way. 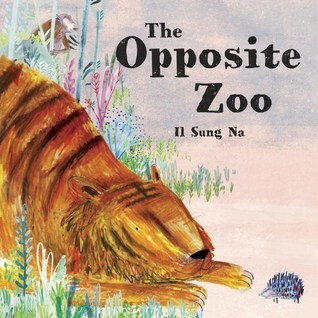 The Opposite Zoo by Il Sung Na – I get asked for books on opposites frequently. There aren’t enough out there. And non of them are as beautiful as this one. 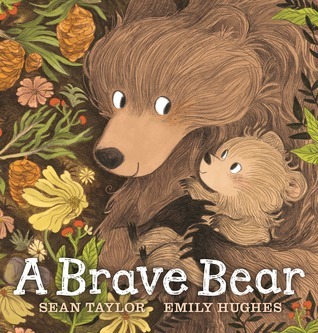 A Brave Bear by Sean Taylor and Emily Hughes – Seeing that it’s already reached over 90 degrees this summer, I could relate to the beginning line of this book.”The sun was hot. The air was hot. 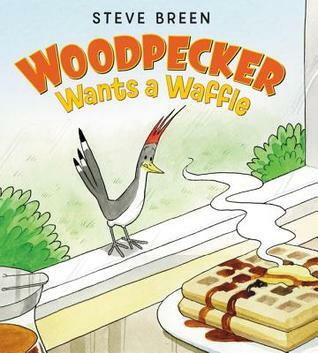 Even the shade was hot.” A fun read aloud with beautiful illustrations. Little Bitty Friends by Elizabeth McPike and Patrice Barton – A perfect book for baby storytime. 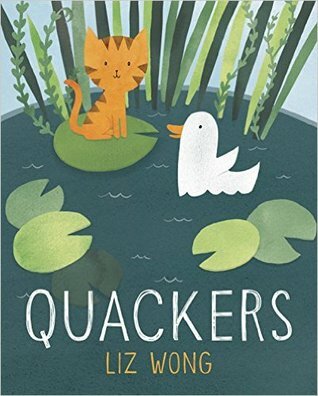 Quackers by Liz Wong – A cat who thinks he’s a duck, until he meets some cats. This cat merges the best of both worlds. 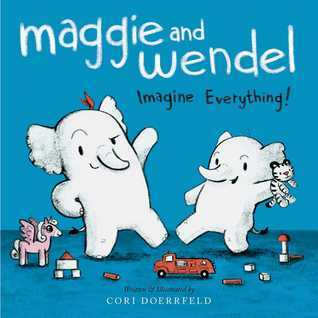 Maggie and Wendel: Imagine Everything! by Cori Doerrfeld – I love this brother/sister combo. Do you have a child who loves Lego, but doesn’t like to read? 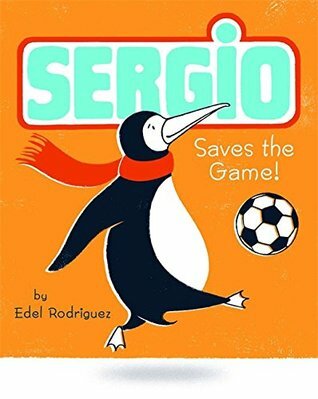 I found the perfect book for them. 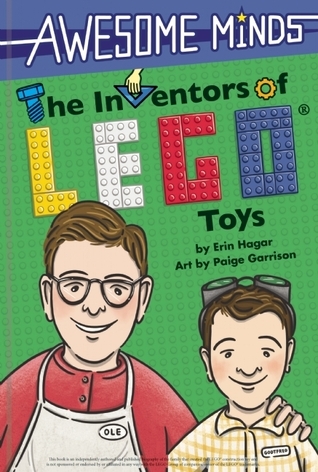 Awesome Minds: The Inventors of Lego Toys by Erin Hagar and art by Paige Garrison. Have a child who doesn’t like to read but loves Super Soakers? Try Whoosh! 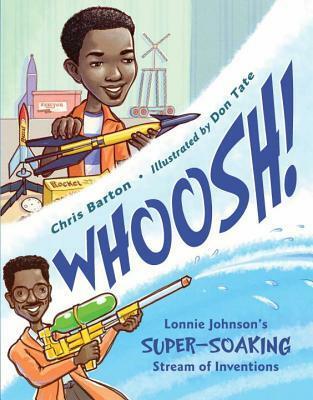 Lonnie Johnson’s Super-Soaking Stream of Inventions by Chris Barton and illustrated by Don Tate. 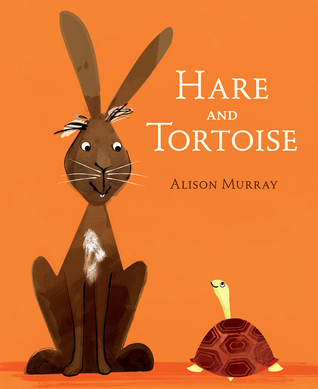 Both these books have engaging text and illustrations. No boring biographies here. An added bonus is both books show how perseverance pays off. I love how my library system runs it’s Summer Reading Program. 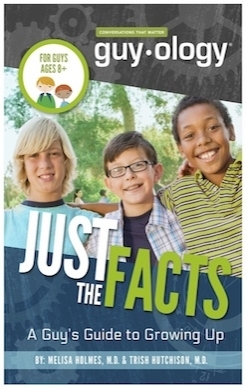 Children aren’t required to keep track of the amount of time they read or the number of books they read throughout the summer. It’s a low stress program to make reading and visiting the library fun. Children are rewarded for visiting the library and telling us about favorite books. Each child receives a sturdy plastic bag and a reading log. On one side of the reading log is a place to write favorite books read over the summer. The other side has a maze featuring our library mascot. Children receive stickers for their maze when they tell us about their favorite books, bring their bag to carry books home and attend programs. If they check out books, they get what we call a “Weekly Wow.” Something different and special every week. Bubbles, bookmarks, tattoos. . . you get the idea. 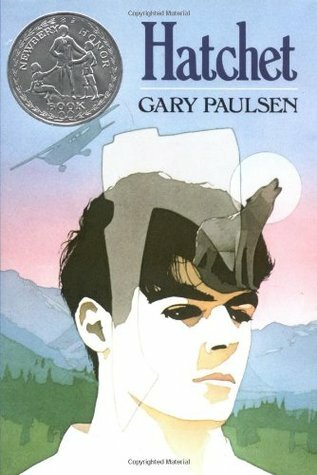 Last week, a girl around ML’s age told me about a book she loved. It was a graphic novel about a cat named Mr. Pants. 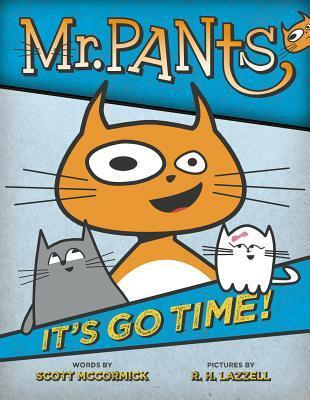 It sounded great so I immediately found the first book in the series when she left, Mr Pants: It’s Go Time by Scott McCormick and illustrated by R. H. Lazzell. Even though ML tells me weekly, “I don’t like comic books.” I’ve come to realize it’s not graphic novels she doesn’t like, it’s superhero graphic novels. She devoured El Deafo by Cece Bell a few weeks ago. So I knew she’d enjoy Mr. Pants. I read a bit of the first book to her before bedtime. She asked if she could take it to bed and finished it before she went to sleep. Then, I finished it the next morning. We were both eager for the next book in the series. I did something I rarely do on a day off. We visited our local library. Sadly, the next Mr. Pants book wasn’t on the shelf. Luckily, I found the other two this morning at my library. Our semi-annual trip to visit ML’s cousins is coming soon. We always take books. Luckily, our local bookstore had a copy of Mr. Pants: It’s Go Time. ML’s with her dad this week. It’s going to be really hard for me to hold out reading the next two titles in the Mr. Pants series without her. The only way to resist this temptation is to put them back on the shelf. They won’t stay there long. I’m certain to throw them in the hands within the first hour I work tomorrow. PS: If you happen to order books for my library system, a new Mr. 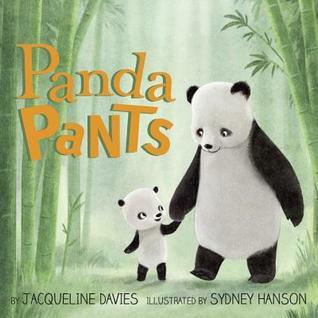 Pants book was released June, 7th. Mr Pants: Camping Catastrophe. I only mention this because I know children are eager for another Mr. Pants book. It has nothing to do with me wanting to read it.